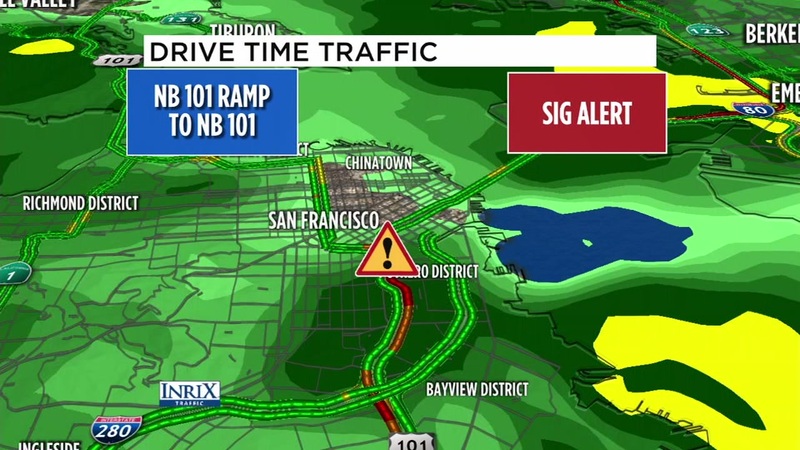 SAN FRANCISCO -- The northbound U.S. Highway 101 off-ramp to the Central Freeway - which is also northbound considered U.S. 101 - just west of the junction with Interstate Highway 80 is currently closed due to roadway flooding, according to the California Highway Patrol. The CHP said the flooding was first reported around 4:18 a.m. and the closure was issued around 5:40 a.m. There is no estimated time of reopening. Stay with ABC7 News for updates on when the connector reopens.